Celebration of Hope tickets going, going, gone. 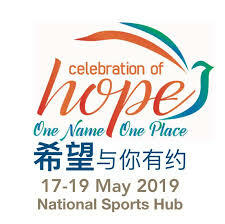 The Celebration of Hope evangelistic rallies will be held in the National Stadium from May 17 to 19. The 17th and 19th are for the English speaking, while the 18th (Saturday) is for the Mandarin speakers. The evangelist for the English speaking is J. John a prominent, anointed British evangelist of Indian descent. The evangelist for the Mandarin speaking is Kau Shao En. We attended a briefing session on the 22nd January last Tuesday. It was well attended and we were given up to date information. With that information we got our COH church timeline done up and started briefing the cell leaders and the congregation. However today the information we were given about the availability of the COH app and the tickets to the Stadium is outdated. Originally we were told the Apps would be ready the day before. It was late a day, which is okay, but then the apps is available only on Google Play and not on Apple yet. So those with iPhones are stranded and will have to find alternative means. We were also told that the tickets will be available for reservation only a week later but instead they were immediately available on the same date the app was ready for downloads. The tickets are going fast and we being kiasu Singaporeans fear losing out and are booking tickets beyond what we need….just in case. There will after all be a chance later (in April) to dispose of tickets we will not use so that those on the waiting list can have them. Currently at the time of this writing close to 21% of seats has already been reserved. 20,000 tickets out of 100,000 of the English rally has already been snatched up on the first day. This is all encouraging and we have to keep praying that there would be a gracious and glorious harvest of souls to make this a memorable nation wide rally since the Billy Graham meetings at the old National Stadium. To download the COH app, and to reserve tickets go here: https://celebrationof hope.sg/tickets/. The download button of the COH app is at the bottom of the above link. You need to download that before you can reserve tickets. 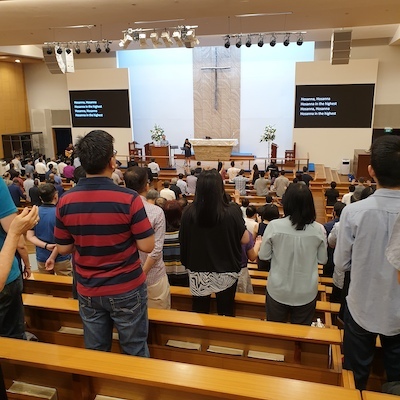 Posted on 30th January 2019 1st February 2019 Categories Singapore churchesTags apps, Celebration of Hope, celebration of hope singapore, COH, ticketsLeave a comment on Celebration of Hope tickets going, going, gone.